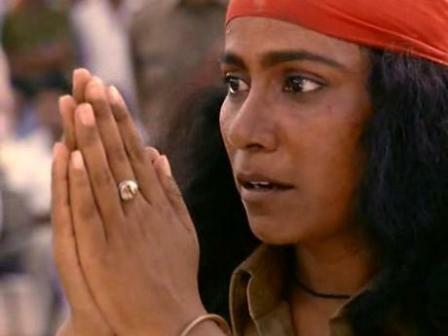 Chhoti Si Umar Parnai O Babasa Lyrics by Nusrat Fateh Ali Khan: from Bollywood's real life based true story of Phoolan Devi movie Bandit Queen, Seema Biswas plays main title role as Phoolan Devi directed by Shekhar Kapur, Chhoti Si Umar song sung & music composed by Ustad Nusrat Fateh Ali Khan, and lyrics are traditional. This song adopt from the Rajasthani Movie's title song "Bai Chali Sasariye". Chhoti Si Umar song in this movie not a full songs it's adopts only few lines, which is beautifully sung by Ustad Nusrat Fateh Ali Khan, it's great for listening a very heart touching song by Ustad Nusrat Fateh Ali Khan. This song is most popular in Bollywood & Television, and it also used as title song in the popular serial "Balika Vadhu" on Colors channel. (Dear Father, You have decided to marry your beloved daughter in childhoot! Ab Ghar Bhejo Dooja Sa Ho..
(I was born in your house and I happily played in your house! They Chao Tau Ud Jaun Sa Ho..